The Business Ethics Alliance has created an applied Internship in Community Programs and Marketing and Communications. Duties will include creation and design of internal and external digital and print communications, website management, creation of marketing content, and assistance with Alliance community program management. The Alliance is a one-of-a-kind, city-level initiative committed to providing practical positive business ethics. We do this through our complementary community programs, speaking engagements, custom workshops, and a variety of fee-based ethics products. We are comprised of a lively office of seven employees and a staff of interns, and are looking forward to the addition of an eighth person to join our mission. Our offices are housed on Creighton University’s campus.  We are a partnership with the Omaha business community, the Heider College of Business at Creighton University, the Greater Omaha Chamber of Commerce, and the Better Business Bureau. Big Impact - We stretch for game-changing results that inspire ethical business practices in our community, nation, and world. Ever Learning - We embrace the need to learn and continuously improve. Supportive - We look out for every member of our team and the greater good of the organization. Tenacious - We work hard and don’t give up. Respectful - We behave in ways that value everyone’s thoughts, beliefs, and feelings. Assist Executive Director and Business Development/Communications Manager in executing the strategic communication and marketing plan. Assist the Programs Director and Programs Manager on all Signature and Specialty programs. Participation in Alliance Youth Program planning and execution and other work as directed. Design and produce digital and print communication and marketing materials based on the content provided. Update the Alliance website, including general website content, payment terminal, program registration, and login modules for clients. Develop content and design, and execute distribution of Alliance external communications. Update Customer Relationship Management data and systems, and maintain email contact application. Flexible schedule based on 10 hour per week during the school year, with scheduled time off during semester breaks. Junior or Senior standing in communications, marketing, public relations, advertising, journalism, or a related field. Understanding of communication principles and style, media and public relations practices and methods. Experience in website development and management using Squarespace or similar program. Skill in graphic design (Adobe Creative Suite or similar) and creating reports and documents using Microsoft Office applications. Strong initiative and sense of responsibility. Creative thinker with excellent written and verbal skills and strong attention to detail. Ability to work independently with a strong team focus. Ability to promote the organization in a positive and professional manner. It is our strong belief that all employees and volunteers should be treated with respect and dignity. The Alliance is committed to providing equal opportunities for all qualified people. We prohibit discrimination by or against any person on the basis of race, color, gender, national origin, age, sexual orientation, disability, religion, veteran status or any other classification prohibited by law. The Alliance will provide reasonable accommodations to people with disabilities. Position open until the job is filled.